I don't know who is advising Sen. John McCain in his last days on Earth. But, he or she is doing him a tremendous disservice. Instead of spending his time cherishing his family and friends, he's made sure to settle old scores in a book. Why? What is the point? In his great life in which he served in the military with distinction, that alone was enough for a lifetime. That was the John McCain I would like to remember. I can't take nothing away from the pain and suffering he endured in Viet Nam as a prisoner of war for our country. However, John McCain the politician is another story. By nature being a politician means nearly half the people don't want you from the start. There's nothing about politicians that's universally liked. If one is your guy fine. However, that too is problematic given the nature of the business. Politicians don't work for the voter. They work for the people who pay them a great deal of money to see things their way. Much more money than the average voter contributes to a campaign. It's behind closed doors, sleazy and dirty. 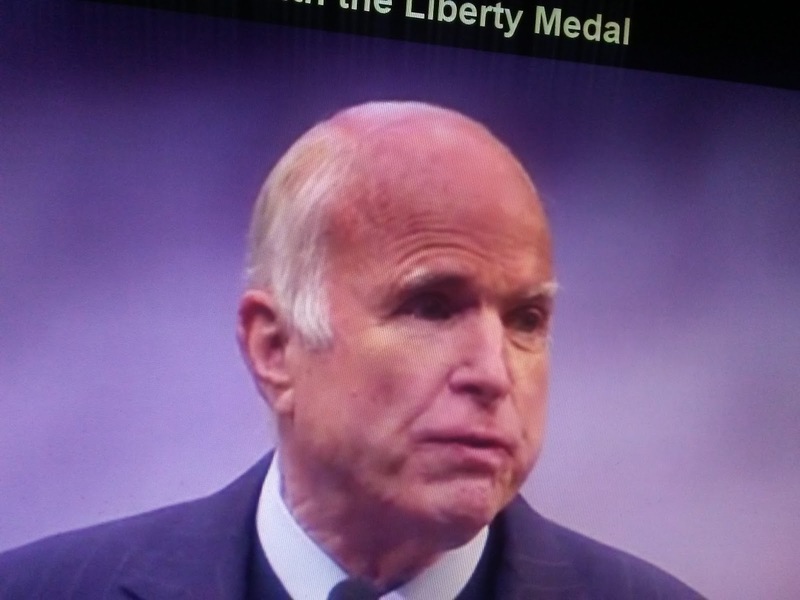 That was the field McCain chose to enter riding on the coattails of his military hero resume. So McCain walked in and did some good things here and there. He even ran for president against a very beatable Barack Obama and got murdered. He could have won that race if he had listened to the right people. Still, America soundly rejected the war hero. I think that was a turning point for him. That's where his bitterness started. It's only gotten worse ever since. Time, even when it's short can heals wounds. McCain days are numbered because of his brain cancer. Given that information he had a choice. Does he go out with class? Or does he go out holding onto grudges and bitterness? Sadly he's chosen the latter. AT AMAZON, save in Blu-Ray and DVD. Plus, deals on Vitamins and Dietary Supplements…. - AT AMAZON, save in Blu-Ray and DVD. Plus, deals on Vitamins and Dietary Supplements. A Little Sunday Night Music - Were You there, When they Crucified my Lord ?